NEW DELHI: Gujarat Secondary and Higher Secondary Education Board (GSEB) has released the admit card for Gujarat Common Entrance Test (GUJCET) 2019 on its official website. The candidates who have applied for the GUJCET 2019 can visit the official website of GSEB- gsebht.in- to check and download their admit card. The GUJCET 2019 would be conducted on April 26, 2019. 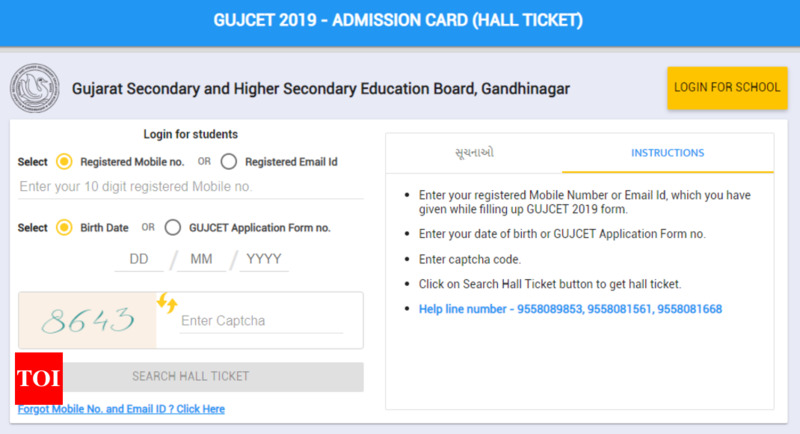 Candidates can obtain their GUJCET 2019 admit cards either from the official website or from the direct link provided below. GUJCET is an entrance exam to get admission for the undergraduate course in various programmes in the field of Engineering Degree/Diploma & Pharmacy courses offered by the Government and Private colleges of Gujarat.